London Cabs - Affordable MiniCabs, fixed price. Very comfy! We compare minicabs and give you the best possible fares. We currently have various minicab operators and companies included in our database and try to increase it continiously. If you want to know more how to be included in our database, feel free to contact us today. We’re only going to include licensed minicab operators, so you can enjoy a very safe and comfortable ride. The prices we find will be very favorable, and lower than the average quote from other minicab providers. How do London Minicabs compare? London minicabs are considerable faster than travelling with a bus. Prices are competitive and our qualified drivers will be able to find any destination in UK. The history of motor driven cars in London dates back to 1901. 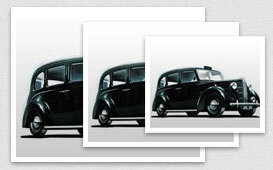 However, the first minicabs in London did not start operations until the 1960's. Read more to discover various models and a complete history of how London's black vehicles become so famous.